Since its initial release, Overwatch has captivated millions of players with its fast paced, engaging gameplay. Hand in hand with that gameplay however is a cast of characters and a story that has captured the hearts and imaginations of both players and non-players alike, with new heroes and new stories being added all the time. While you don’t see much of Overwatch’s story in-game, this shooter has a veritable mountain of lore hidden away in all the profiles, character descriptions, news releases, cinematics, and everything else that’s been released thus far. We’re sure you’re asking how the heck am I supposed to keep track of all of this? That’s why we’ve been piecing it all together for you, from the beginning of the Omnic Crisis to Ashe’s explosive debut on Overwatch scene. Whether you’re a new player looking to dip a toe into Overwatch lore, or a seasoned player that’s just looking to refresh their memory, we’ve got you covered. Overwatch and the Omnic Crisis The formation of Overwatch and what the heck happened to make it all fall apart. This is the foundation of Overwatch’s story. Space Gorillas and Test Pilots Winston and Tracer’s origins and the weird possibility there might still be some kind of angry space gorilla infested moon colony up there. Robots With Soul What the heck is an Omnic? Why don’t they just call them robots? This covers what makes them different and why you should probably love Bastion even though, you know, he’s probably going to kill you a lot. Fallen Heroes What’s up with Soldier: 76 and Reaper? What went down when Overwatch was disbanded, and why is Reaper so … reaper-y? The Shimada Clan Hanzo and Genji have a lot of beef with each other, probably because they tried to kill each other. Here’s why. Widowmaker and Talon Who is Talon? Why are they in every Overwatch animated short? What are they up to, anyway? And who is the elusive and deadly Widowmaker? Zarya and the second Omnic Crisis You think the first Omnic Crisis was bad? Prepare for part two. Symmetra and Lúcio What’s the issue between these two? Is Symmetra a bad guy? Maybe not, but the company she’s working for is pretty shady. McCree and the Deadlock Gang IT’S HIGH NOON and McCree’s a former outlaw who decided to be a good guy until he decided not to. Or maybe he still is. Overwatch’s Veteran Members: Reinhardt, Torbjörn, and Mercy Not everyone in Overwatch is (or even was) a member of the Overwatch organization. These three, however, are some of the organization’s best and brightest. The next generation of Overwatch Mei, D.Va, Pharah, and the future of the Overwatch team. 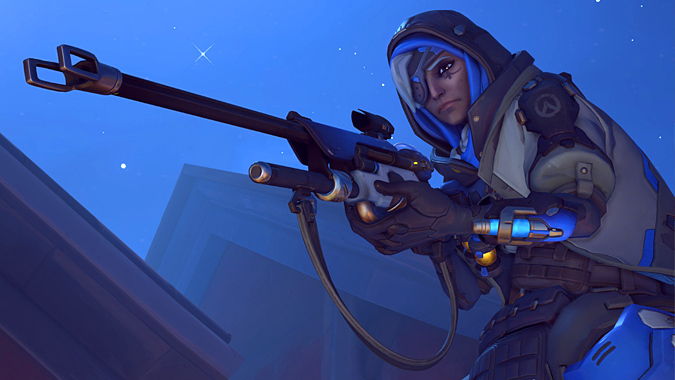 Ana Amari and new Overwatch heroes Part of the original Overwatch team, Ana was widely considered one of the world’s best snipers… until she hesitated to take a shot. Overwatch and the mystery of Sombra Though we don’t yet know who Sombra is, the game is scattered with hints about this mystery hero. Overwatch’s ongoing story So how does all this stuff hook together in the cinematics? Where is the story going from here? Why isn’t any of this actually in the game — and why is that potentially a good thing. Overwatch’s Sombra origins Sombra made her triumphant debut at BlizzCon 2016. But where did she come from? 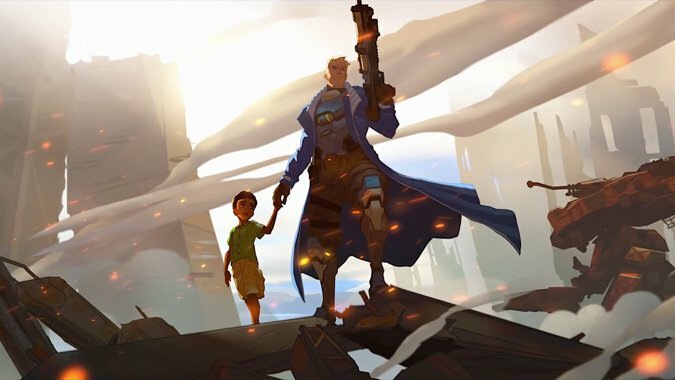 How did the Omnic Crisis shape this orphan’s future into something so extraordinary? Global conspiracies and the Omnic Crisis It seems that there are bigger players than just the Overwatch team at work in the Overwatch universe. We begin to unravel the global conspiracy that Sombra inadvertently stumbled on in pursuit of justice. 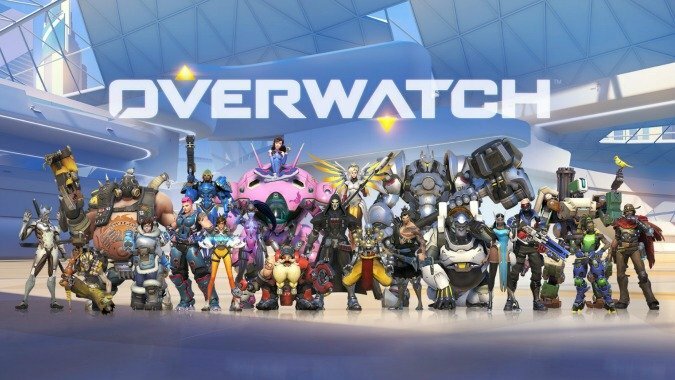 Tinfoil Hat Edition: The fall of Overwatch We take a speculative look at just what led to the downfall of one of humanity’s greatest organizations. Was it a global conspiracy, corruption from within, or some other factor that finally managed to tear Overwatch apart? Overwatch’s Orisa, Efi Oladele, and the return of Doomfist In a world of ever-encroaching threats, one precocious little girl manages to engineer a potential solution to keep her city safe. But the potential return of a well-known adversary might put a damper on that triumph. King’s Row and Overwatch Uprising Take a look back at a pivotal moment in Overwatch’s history, and newly-dubbed Tracer’s first mission after the resolution of her chronal disassociation. Doomfist, Talon, and Overwatch Doomfist received his first mention in the original trailer for Overwatch, but it took some time for him to show up in-game. His ties to Talon, however, run deep…and he’s looking to re-establish his control over the terrorist group. Moira O’Deorain and Overwatch’s continuing mysteries Scientist Moira O’Deorain’s research methods may be…ethically questionable, but they’re also exactly what Gabriel Reyes is looking for when it comes to new additions to the Blackwatch team. Brigitte Lindholm and her Overwatch origins Once simply a squire to her godfather Reinhardt, Brigitte has to decide whether or not to follow her mentor when he decides to answer Winston’s recall and return to Overwatch. Blackwatch and the mystery of Gabriel Reyes What brought about the fall of Gabriel Reyes — and the explosive end to Overwatch? Why did he move to join Talon after his return as Reaper? Overwatch’s Ashe, Echo, and the Deadlock Gang McCree may no longer be a member of the Deadlock Gang, but its leader, Ashe, certainly hasn’t forgotten him. And in the wake of Winston’s recall, McCree decides to direct a mysterious omnic friend in the direction of Overwatch. If these held your interest and you’re looking for more, perhaps you’ve missed some of the material below. Recall kicks it all off with a look at Winston’s origin. Reaper and the bad dudes at Talon assault a defunct Overwatch base — inspiring Winston to raise a new call to arms. 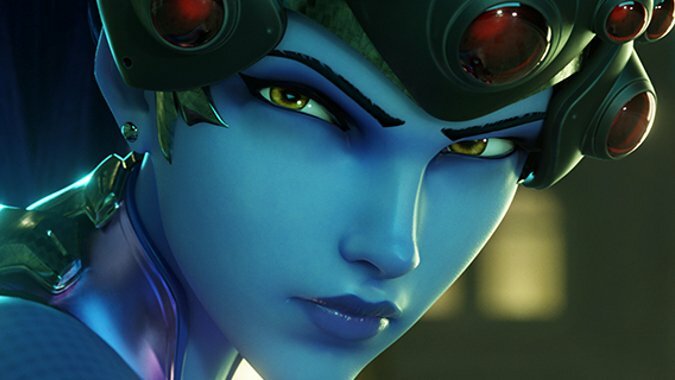 Alive widens the animated universe of Overwatch as Widowmaker takes aim on the streets of King’s Row. Can Tracer stop her dastardly deeds? Are You With Us? Winston gets a bit awkward in front of the camera as he rallies the troops. Dragons Brothers Hanzo and Genji throw down in their home town of Hanamura. Hero Soldier: 76 takes on the Los Muertos in Dorado, raising the question of whether he’s on the side of the heros or not. The Last Bastion takes us to the Black Forest to show us just how Bastion came to be, well, Bastion. 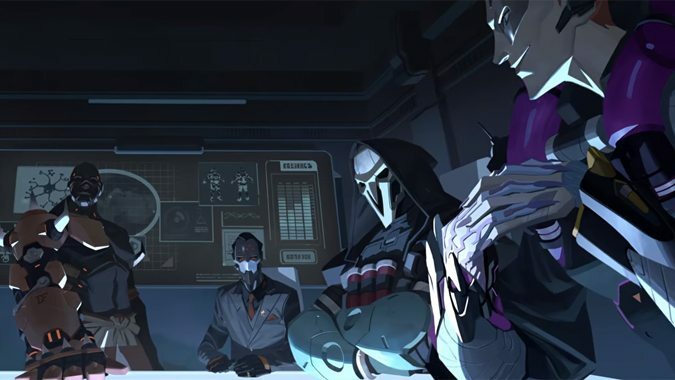 Infiltration Reaper, Widowmaker, and Sombra make a fateful trip to Volskaya Industries, where a confrontation with a high-profile target has unexpected results. Rise and Shine Far to the frozen south, talented scientist Mei-Ling Zhou wakes up from an extended cryosleep slumber to find that nine years have passed. Honor and Glory When Reinhardt receives Winston’s recall order, he thinks back to the events surrounding the first time he joined Overwatch. Shooting Star Korean MEKA defense team start D.Va carries a lot of weight on her shoulders, and will do anything to defend her country. When a new omnic threat unexpectedly threatens her home, her talents are put to the test. Reunion McCree returns to Route 66 and visits his old “friends” in the Deadlock Gang. But this is no simple reunion — he’s got other plans involving a crate and a mysterious omnic figure contained therein. McCree in Train Hopper. McCree hops a train. Some other people hop a train, too. Pretty self-explanatory stuff, here. Reinhardt in Dragon Slayer. This old dog still has teeth. For biting dragons, I guess. 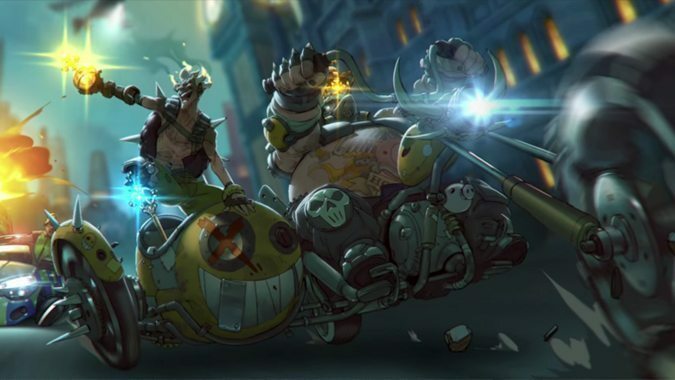 Junkrat and Roadhog in Going Legit. If by “legit” you mean the opposite thing, then yes. Symmetra in A Better World through hard light and also explosions. Pharah in Mission Statement, where she shows just what kind of leader she can be. Ana Amari in Legacy, which fills us in on how this new hero fit in to team Overwatch. Ana Amari in Old Soldiers, where Ana reunites with some old friends. Junkrat in Junkenstein, a Halloween-themed Overwatch special holiday release. Tracer in Reflections, a holiday-themed story that follows Tracer and the rest of the Overwatch crew for an end-of-year reflection on how they’ve fared so far. Bastion in Binary, a closer look at what happened to the rogue omnic after the events in The Last Bastion animated short. Tracer in Uprising, a story from the days of Overwatch’s tumultuous past. Doomfist, Reaper, and Widowmaker in Masquerade, a comic detailing Doomfist’s return to Talon. Roadhog and Junkrat in Wasted Land, a story that reveals how the two criminals originally met. Zarya and Sombra in Searching, which explores the events following the Infiltration cinematic. Reaper (as Gabriel Reyes) in Retribution. After a devastating attack on Overwatch’s Oslo facilities, Reyes, Blackwatch, and Overwatch have to decide how far they’re willing to go to catch the man responsible. Not enough to slake your thirst for more Overwatch? Peruse our Overwatch category for tips, tricks, and more.